To challenge myself, I chose to undertake my elective placement overseas. I decided to travel to Kandy in Sri Lanka because of its rich culture and its varied patient demographics. I quickly felt at home after arriving at the Work the World house. The Work the World staff and my housemates were so welcoming. The house catering team prepared meals of restaurant quality every night. Work the World’s language teacher delivered lessons every week. The words and phrases we learned were useful both on placement and when navigating through local markets! The food was something I looked forward to each evening. The house catering team prepared meals of restaurant quality every night. Cooking lessons and weekly BBQ nights were highlights! The other students in the house were really friendly. They were of a mix of clinical professions and from all over the world. 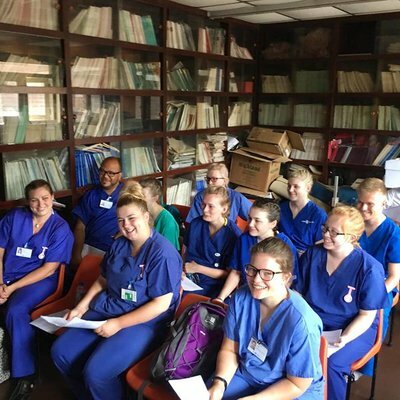 Hearing the other nursing students’ experiences throughout their training was fascinating. I shared a room with three nursing students, (one from the same university) with whom I made friends for life! I planned my placements to reflect things I’d already seen in the UK. I wanted to draw comparisons between the two countries. 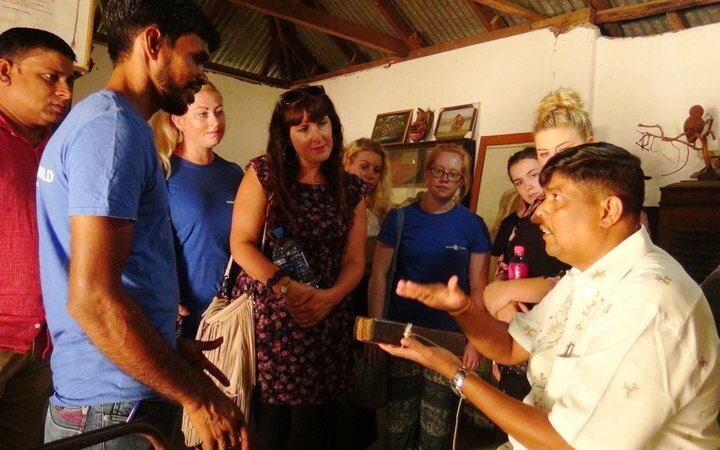 Across the four-weeks I spent in Sri Lanka, I saw many different aspects of healthcare. 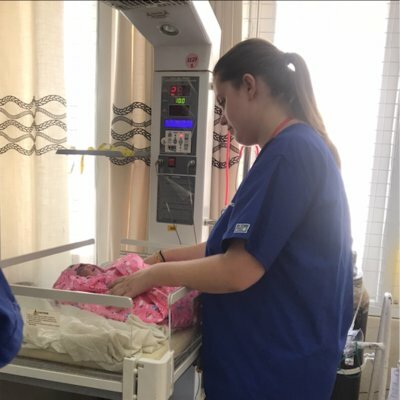 I spent my first week at a teaching hospital in general surgery, and I saw more than I expected to. I got experience on the casualty ward and in theatre, endoscopy and in the outpatient department. The wound clinic was fascinating when it came to vascular conditions. The hospital was visibly run down. The lack of resources, contrasting practices and the hospital hierarchy were eye opening. 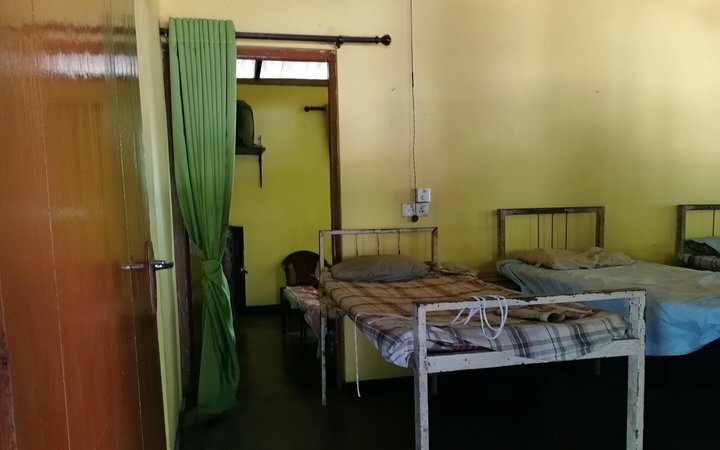 Patients shared beds and doctors carried out surgeries on multiple patients in the same room. I saw a lot of RTAs, as well as lower limb disease. Consultants also discussed how they had seen a recent rise in diabetes and cardiovascular conditions. Assisting the nurse, I was surprised at how local staff managed with only cloth bandage, gauze, surgical spirit and betadine. It was such a contrast to the UK where we have a wide range of treatments and products for wound care. However, much like the UK, the hospital had reps who visited the hospital to promote new products. I was surprised to see that both cockroach and rat repellent were among their wares. I spent my next two weeks in a specialist children's hospital. The hospital was very similar in appearance to those in the UK, but there were notable differences in practice. I spent the first week in general surgery and the second on the cardiology ward. Sri Lanka has made significant clinical advancements in recent years. Even so, coming face-to-face with the high mortality rate on the cardiology ward was confronting. Only two adult heart transplants had been carried out in the whole of Sri Lanka, the first of which took place in 2017. In the UK, the first heart transplant took place fifty years ago. In the UK today, doctors carry out over two-hundred heart transplants every year with high success rates. I observed the management of some fascinating conditions, including muscular dystrophy. Working with the ENT team in theatre was an experience that stood out. The team were inclusive and taught me about nursing interventions. I also got experience with airway management, supporting young children in recovery. The consultant was passionate and spoke to me about improving outcomes. He then told me about a programme he was developing. The idea behind it was promoting early intervention for children with hearing impairments. The consultant showed me the equipment the programme had already funded, and noted his team were in the process of developing TV ads, encouraging parents to consent to surgery. On my final day in theatre, I sat in on a cochlear implant surgery. It was inspiring to observe. 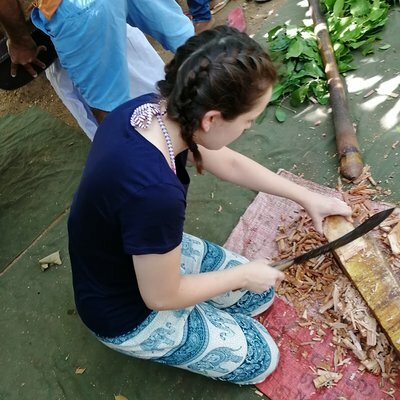 I spent my fourth and final week in SrI Lanka taking part in Work the World’s Ayurvedic Medicine Experience. It was surreal! I had researched the area prior to my trip, but I didn’t quite know what to expect from this final week. I did know about about the use of traditional medicine having heard about it in the hospitals. Some healthcare professionals talked of its benefits, while others stated it was a barrier to their practice. We had a Work the World guide and interpreter for the whole week. He was knowledgeable, going out of his way to ensure we had an amazing time. We observed the doctor treat patients using therapies and concoctions I had never seen before. In the mornings, I spent time in the orthopaedic hospital there. Made up of a clinic, pharmacy and ward, it was unlike anything I’d seen before. 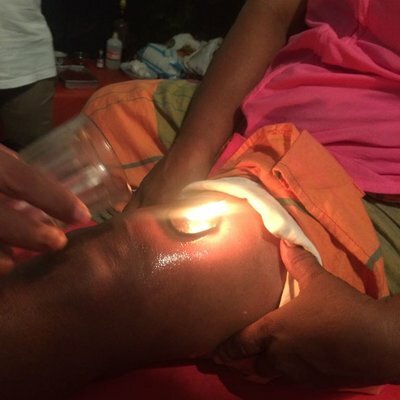 The local Ayurveda doctor was hospitable and explained his natural holistic treatment methods. The methods were etched onto palm leaves and had been passed down through his family for generations. We observed him consult with and treat patients using therapies and concoctions I had never seen before. We met patients with slipped discs, fractures and osteoporosis. Many of them had travelled from all over the world to be there and gave good testimonials for the doctor. Many had tried more modern ‘western’ medicine, but sought alternative treatment after poor results. The faith and trust the patients had in the doctor was almost tangible. 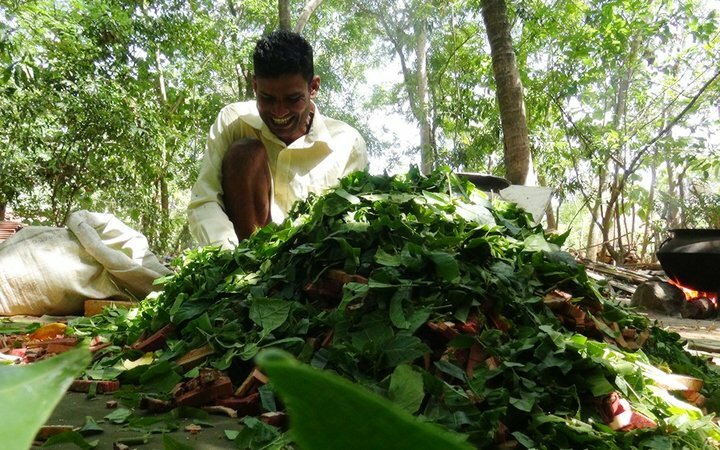 Patients offered the doctor donations of money and betel leaves before their consultations. Towards the end of the week, we got involved in preparing some of the medicinal herbal pastes ourselves. 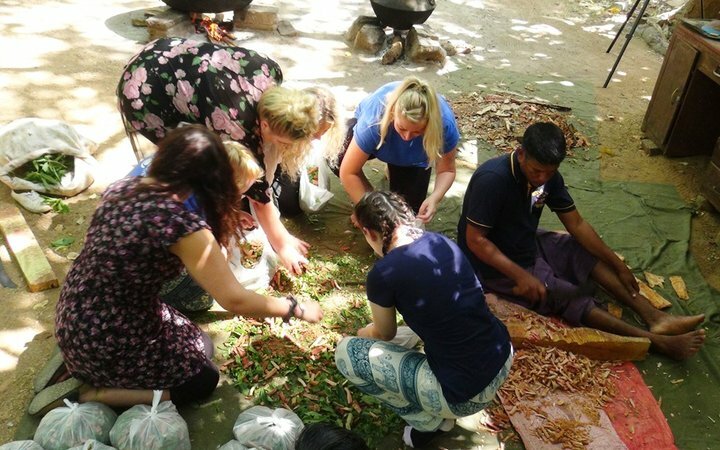 Staff made Ayurvedic medicines in the grounds of the clinic. The doctor walked us around his garden on numerous occasions, discussing the different trees and plants used. The doctor also taught us some treatment techniques so we could assist him and the nurse. 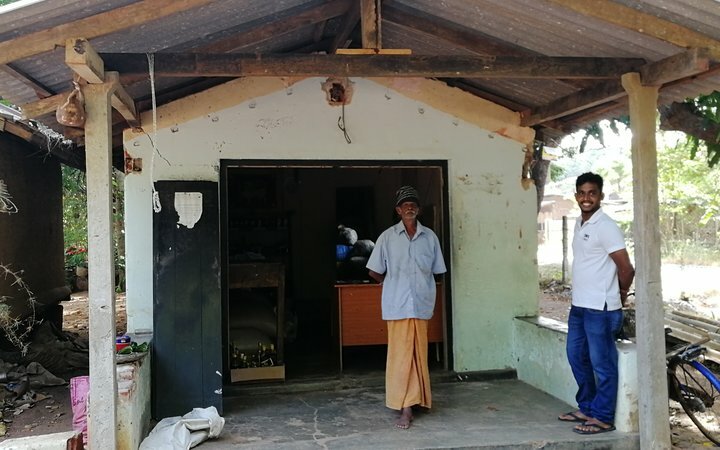 The rural part of Anuradhapura in which the clinic was based was a real contrast to city life back in Kandy. In the afternoons, we took part in activities that taught us about village life and culture. 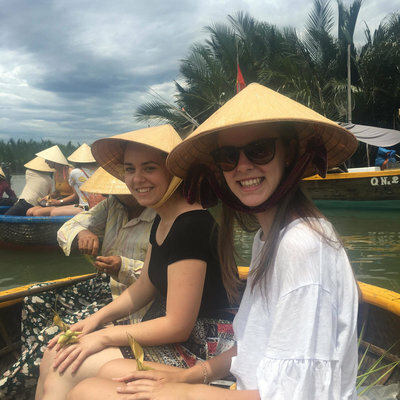 We took a tour of the rice fields in an oxcart, boated on the lake, learned to cook traditional village dishes, and had Ayurvedic massages. We also walked up Ritigala and saw the ruins of the Buddhist monk monastery. Another day we went to Kalawewa to view the stone Avukana Buddha statue. On our final evening, we climbed up Pidurangala (my favourite trek of the trip) to watch the sunset. It was the perfect end to my time in Sri Lanka. 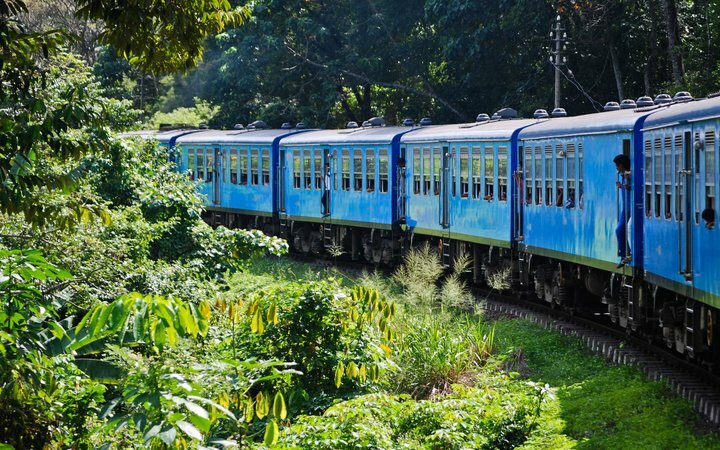 After placement, there was plenty to do in and around Kandy. We visited Kandy market and the Temple of the Tooth, went on a walk around the botanical gardens, watching Kandyan dancing, went on a trip to an elephant foundation, and watched the sunset over Kandy at the Bahirawakanda Vihara Buddha statue. There were also swimming pools and cocktail bars that boasted incredible views if you wanted to relax after a busy day. 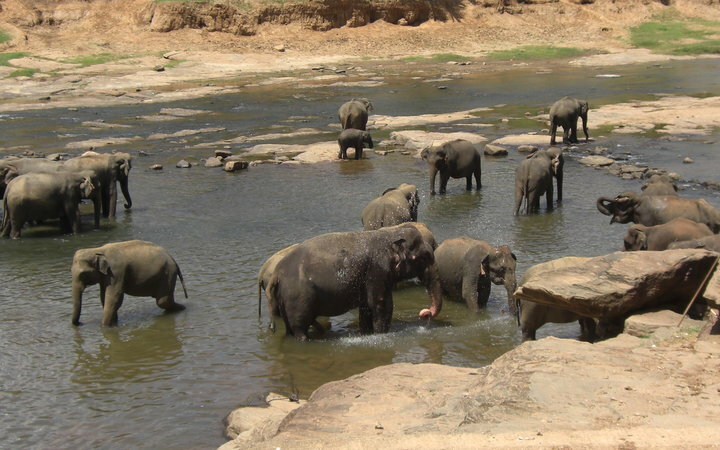 During weekends, we used our free time to travel around Sri Lanka. We spent our first weekend in Habarana exploring the cultural triangle. 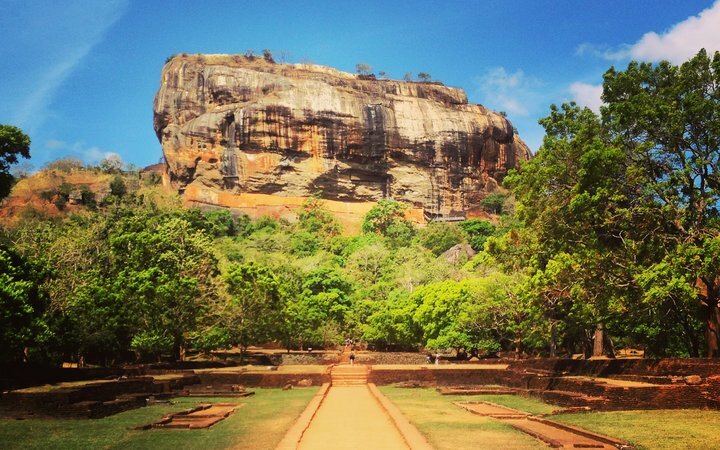 We visited Dambulla rock temple and the golden Buddha statue, biked around the ancient ruins of Polonnaruwa, went on an elephant safari through the Minneriya National Park and, finally, climbed up Sigiriya rock. We spent our second weekend in Ella. While there we visited tea plantations, strawberry farms, walked up ‘Little Adam’s Peak’ and along the nine-arch bridge (a must see for Harry Potter fans). Swimming in waterfalls was amazing, as was the beautiful 7-hour train ride back to Kandy. We headed to Trincomalee on our final weekend. We boated over to Pigeon Island to go snorkelling. The island was a national park with amazing coral reefs and lots of colourful fish. I encourage you to undertake your elective abroad. Seeing the differences in healthcare between a low-resource country and our own really puts things into perspective. I now realise just how much we take for granted in the UK.The time I spent in Sri Lanka made me more culturally aware, which — as the UK is very diverse — will improve my future practice. Work the World are a fantastic organisation. 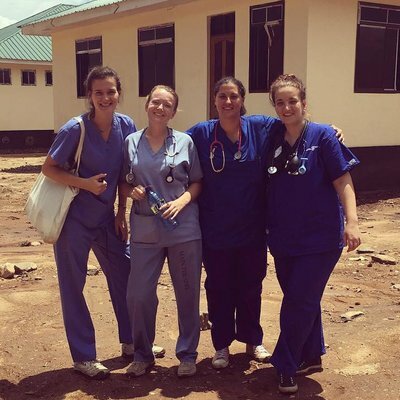 Their team in the UK took away the stress of planning a placement abroad! They arranged everything, keeping me updated through both phone calls and my online elective planner. They addressed all my initial concerns — no matter how small — straight away! The team in Sri Lanka made us feel safe every step of the way.